The $4 million exploration program at Mana includes 18,600 meters of reverse-circulation (RC) and 58,000 meters of auger drilling. The RC program will be dedicated to identifying satellite deposits near existing operations with a particular emphasis on the Pompoi area, located 3.5 kilometers east of the Yaramoko Mine. 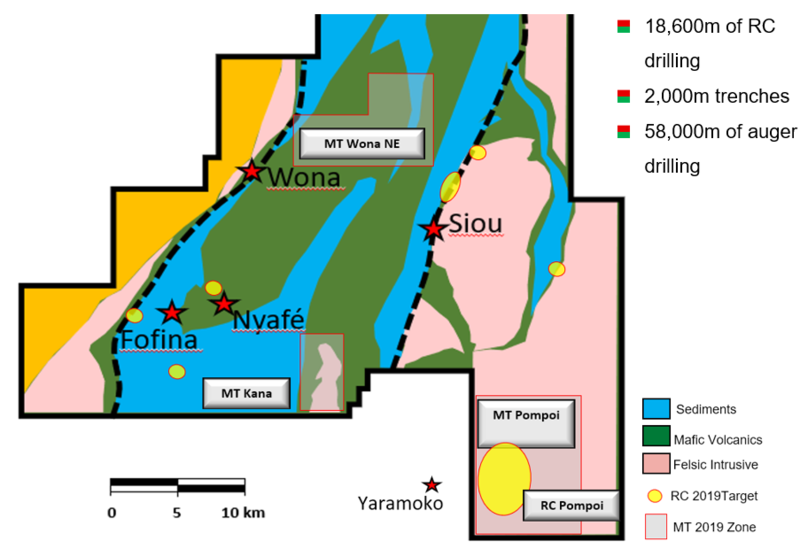 The Pompoi program will focus on previous results of up to 7.40 g/t Au over 2 meters coincident with auger anomalies identified in 2018, with the objective of finding intrusive-hosted, high-grade mineralization.